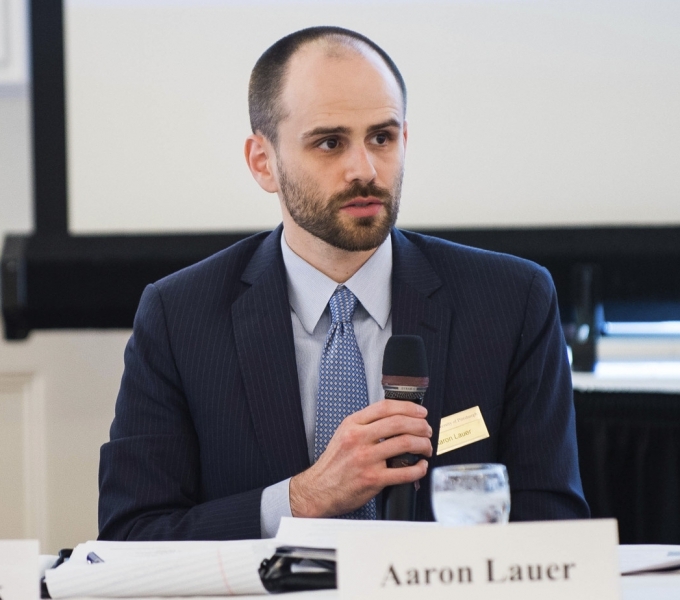 Aaron Lauer is the Senior Policy Analyst with the Institute of Politics. His work includes special research projects, including criminal justice reform, voluntary municipal disincorporation, and the opioid epidemic. Aaron has worked on a variety of projects and initiatives in the Pittsburgh region including the Institute of Politics Shale Gas Roundtable, the Allegheny County Board of Health Strategic Plan, and a feasibility study of the natural gas conversion of the Port of Pittsburgh towboat fleet. He is a graduate of the University of Pittsburgh School of Law, as well as the Graduate School of Public and International Affairs.